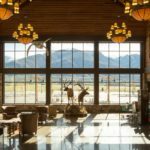 The new Cabela’s retail store in Farmington, Utah offers customers an interactive learning experience from the moment they walk into the store and remains with them until they leave. 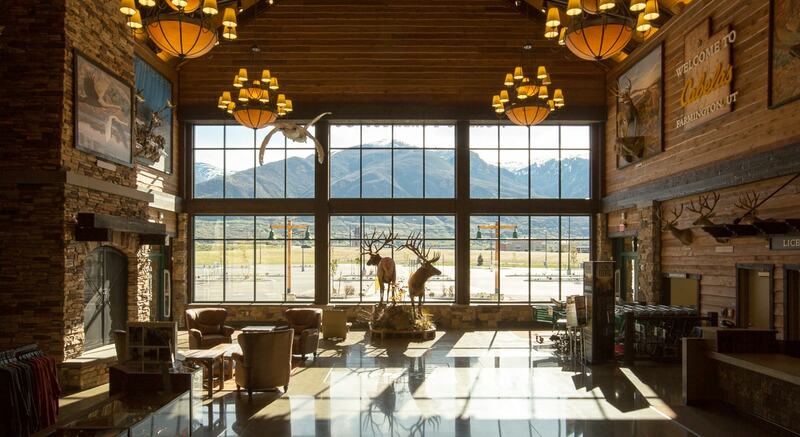 The new retail store opened in April of 2016 and is Cabela’s second retail location in Utah. 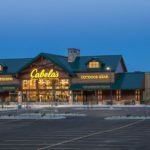 Cabela’s hired Big-D Construction after the successful construction of Cabela’s new 600,000 square-foot distribution center in Tooele, Utah. 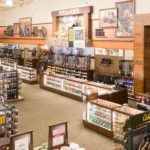 The store was built in Cabela’s new-format layout which is designed to give customers an outdoor-like experience as they walk through the store. Throughout the store, there are interactive touchscreens that educate visitors about wildlife that is native to the Intermountain region. Also inside the store is a 4,000-gallon aquarium that will be used as a backdrop during fishing seminars and demonstrations. Materials such as log, stone, and wood siding were strategically placed throughout the store to enhance the “outdoor” experience. 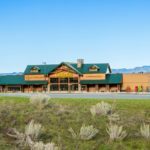 In addition to thousands of quality outdoor products, the store features an indoor archery range and archery tech room, gun library, deli, and fudge shop. Moreover, the store, which has hired more than 175 employees, has space for staff to host educational seminars and demonstrations on outdoor products and activities.